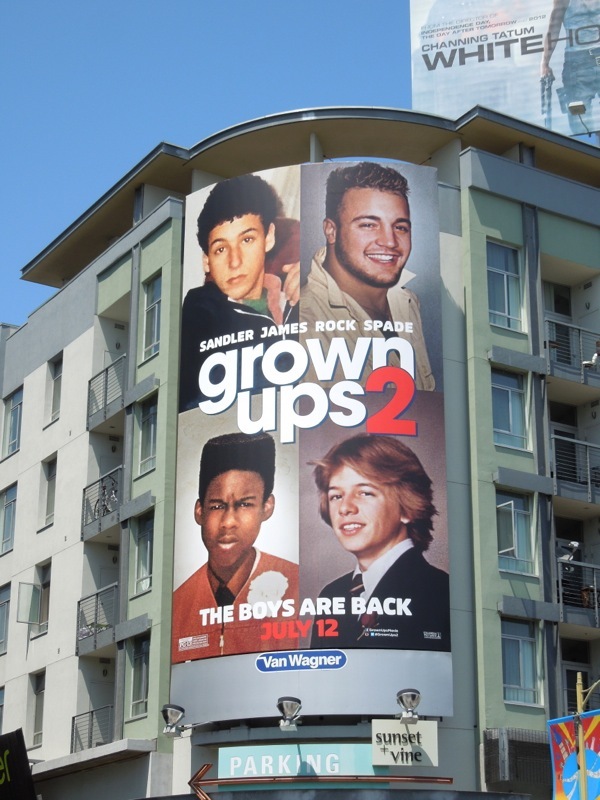 A few years ago, some old friends shared a fun unforgettable weekend. 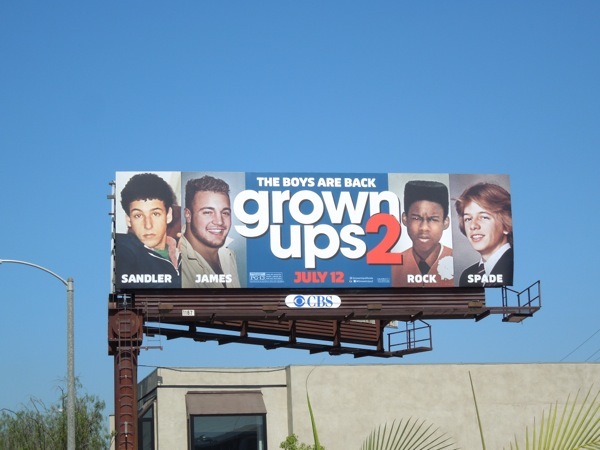 This Summer in Grown Ups 2, Adam Sandler is moving his family back to his hometown so that his kids can grow up surrounded by his childhood pals and their kids. Hilarity, or craziness, will no doubt follow. 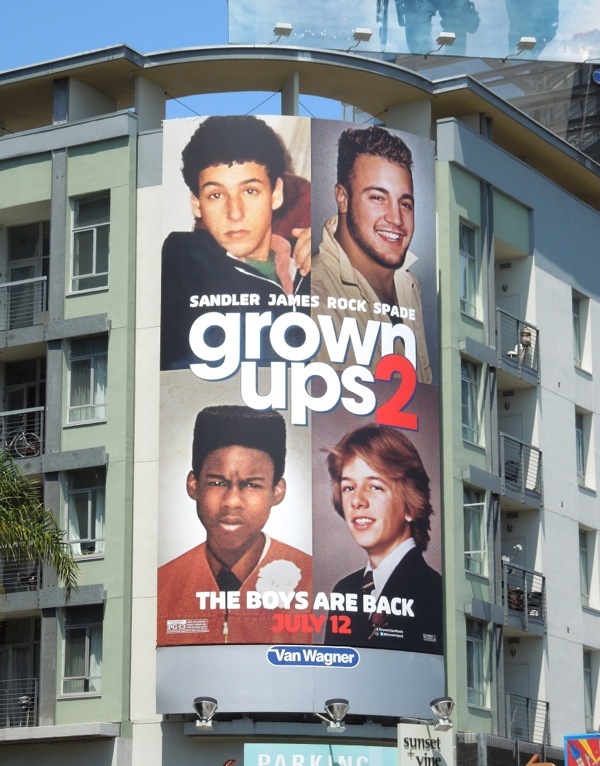 It worked for the first movie and the nostalgic high school photo creatives of the film's male leads works again for the sequel (and they are all instantly recognisable). 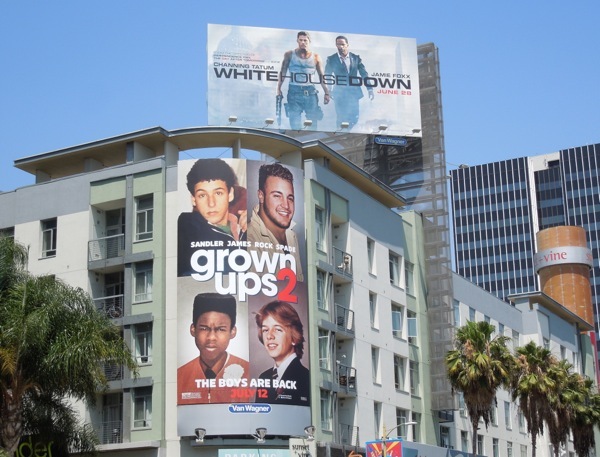 These fun blast-from-the-past billboards for Grown Ups 2 were spied along Sunset Boulevard and at Sunset & Vine on June 8, 2013. 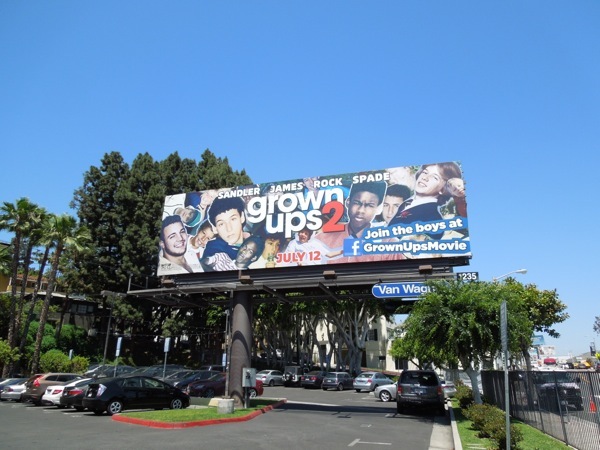 If you're a fan of the comedy, be sure to check out this billboard ad for the first Grown Ups movie from June 2010. 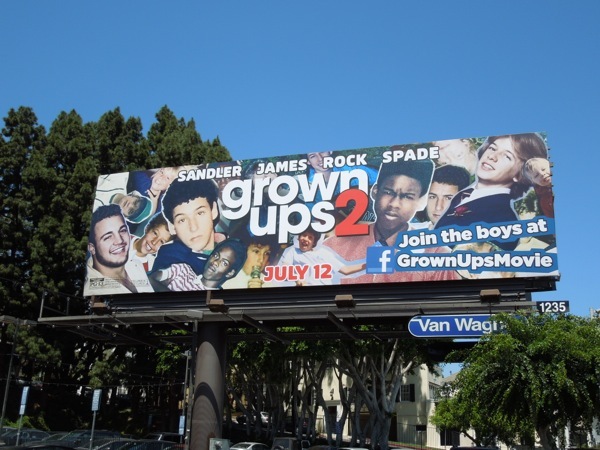 Plus click through to check out these other Kevin James movie billboards and Adam Sandler movie billboards too. 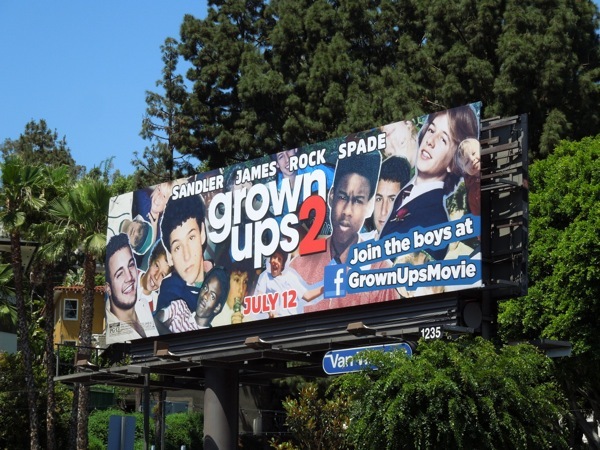 UPDATED: Here's another standard landscape creative for the comedy, spied along L.A.'s 3rd Street on June 18, 2013.